The prophet Jeremiah gave a message to Baruch son of Neriah in the fourth year of the reign of Jehoiakim son of Josiah, after Baruch had written down everything Jeremiah had dictated to him. God used this word to Baruch to speak to many throughout the centuries. Dr. J. Oswald Sanders coveted a certain job in a Christian organization, and he almost lobbied some influential friends for it. But walking through downtown Auckland, New Zealand, these words came to him with authority: “Seekest thou great things for thyself? Seek them not!” Consequently, he didn’t seek the position, but it later opened to him on its own in God’s timing. When Charles Spurgeon was eighteen, he applied to Regent’s Park College. An interview was set and Spurgeon rose early and set out. But through a misunderstanding he missed his appointment and was not admitted. Bitterly disappointed, Charles walked through the countryside trying to calm down. 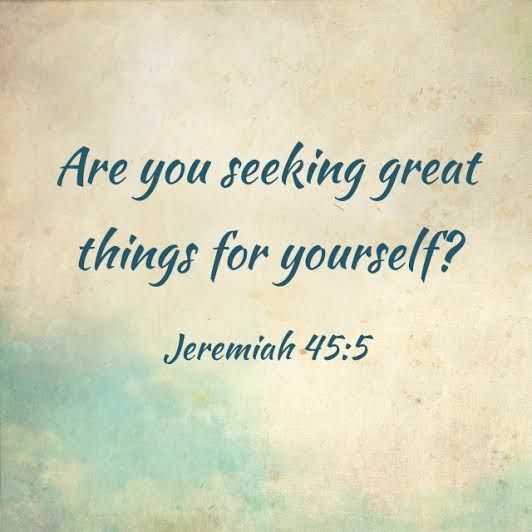 Suddenly Jeremiah 45:5 came to mind: “Seekest thou great things for thyself? Seek them not!” Spurgeon never made it to college, but he went on to become the most effective preacher in England. This is a promise given to you for the difficult places in which you may find yourself—a promise of safety and life even in the midst of tremendous pressure. And it is a promise that adjusts itself to fit the times as they continue to grow more difficult, as we approach the end of this age. What does it mean when it says that you will “escape with your life”? It means your life will be snatched from the jaws of the Enemy, as David snatched the lamb from the lion. It does not mean you will be spared the heat of the battle and confrontation with your foes, but it means “a table before [you] in the presence of [your] enemies” (Psalm 23:5), a shelter from the storm, a fortress amid the foe, and a life preserved in the face of continual pressure. It means comfort and hope from God, such as Paul received when he and his friends “were under great pressure, far beyond [their] ability to endure, so that [they] despaired even of life” (2 Corinthians 1:8). And it means the Lord’s divine help, such as when Paul’s “thorn in the flesh” (2 Corinthians 12:7) remained, but the power of Christ came to rest upon him, and he learned that God’s “grace is sufficient” (2 Corinthians 12:9). May the Lord “wherever you go . . . let you escape with your life” and help you today to be victorious in your difficulties. HERE is a real treat — Mahalia Jackson and “God Will Take of You.” She is singing it directly to YOU! You can believe it! 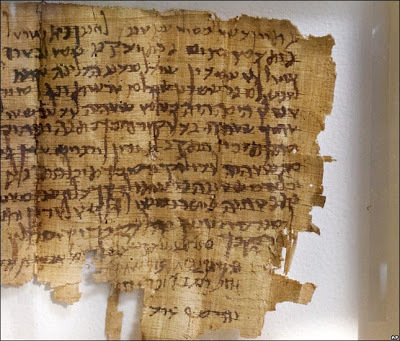 4 So Jeremiah sent for Baruch son of Neriah, and as Jeremiah dictated all the prophecies that the Lord had given him, Baruch wrote them on a scroll. 8 Baruch did as Jeremiah told him and read these messages from the Lord to the people at the Temple. 9 He did this on a day of sacred fasting held in late autumn, during the fifth year of the reign of Jehoiakim son of Josiah. People from all over Judah had come to Jerusalem to attend the services at the Temple on that day. 10 Baruch read Jeremiah’s words on the scroll to all the people. He stood in front of the Temple room of Gemariah, son of Shaphan the secretary. This room was just off the upper courtyard of the Temple, near the New Gate entrance. 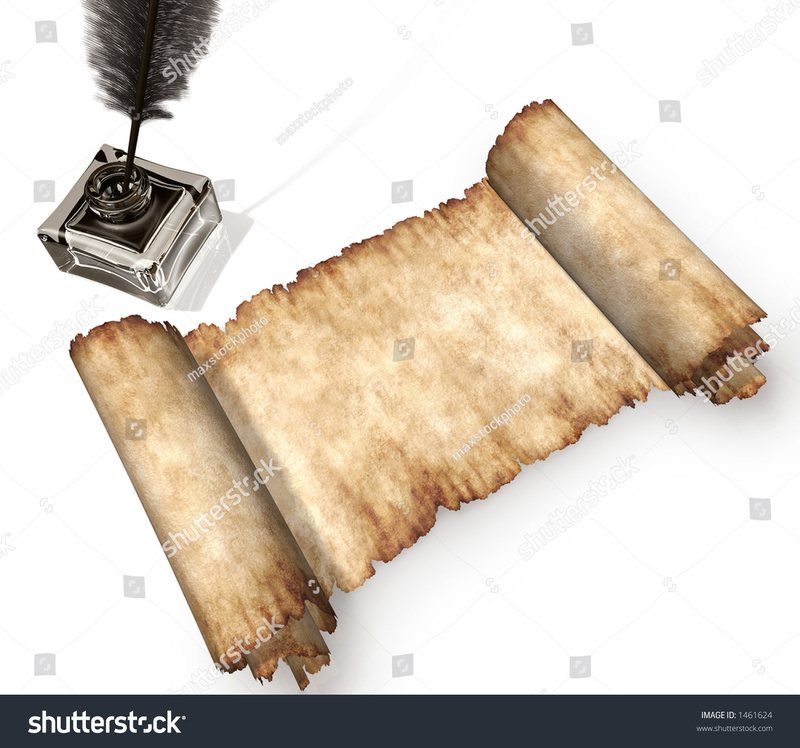 So, in 605 B.C., the year Nebuchadnezzar made his first move against Jerusalem, the Lord commanded Jeremiah to write down all the prophecies he had delivered. These were dictated to Baruch and read by him publicly at the temple a year later. 11 When Micaiah son of Gemariah and grandson of Shaphan heard the messages from the Lord, 12 he went down to the secretary’s room in the palace where the administrative officials were meeting. This Michaiah was a godly man, having been connected with the reforms and revival under King Josiah (2 Kings 22:12-13). He heard all the words of the Lord from the book, and brought the message of the book to the leaders of Judah—sons of nobility and royalty, leaders in the kingdom. Elishama the secretary was there, along with Delaiah son of Shemaiah, Elnathan son of Acbor, Gemariah son of Shaphan, Zedekiah son of Hananiah, and all the other officials. 13 When Micaiah told them about the messages Baruch was reading to the people, 14 the officials sent Jehudi son of Nethaniah, grandson of Shelemiah and great-grandson of Cushi, to ask Baruch to come and read the messages to them, too. So Baruch took the scroll and went to them. 15 “Sit down and read the scroll to us,” the officials said, and Baruch did as they requested. Once the princes had heard the prophecies, and after authenticating the document, they told Baruch and Jeremiah to hide. They knew the king would be displeased. 21 The king sent Jehudi to get the scroll. Jehudi brought it from Elishama’s room and read it to the king as all his officials stood by. 22 It was late autumn, and the king was in a winterized part of the palace, sitting in front of a fire to keep warm. 23 Each time Jehudi finished reading three or four columns, the king took a knife and cut off that section of the scroll. He then threw it into the fire, section by section, until the whole scroll was burned up. This was a deliberate, dramatic way to insult and reject the prophet and the God whom the prophet represented. Jehoiakim hoped to burn and destroy the word of the prophet and his God. 24 Neither the king nor his attendants showed any signs of fear or repentance at what they heard. 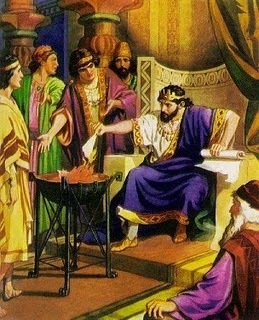 25 Even when Elnathan, Delaiah, and Gemariah begged the king not to burn the scroll, he wouldn’t listen. The king was not bothered in the least. 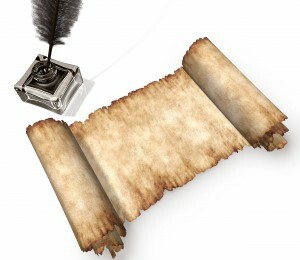 As his scribe read the scroll (God’s word), the king cut it into pieces and burned it. The others were appalled. 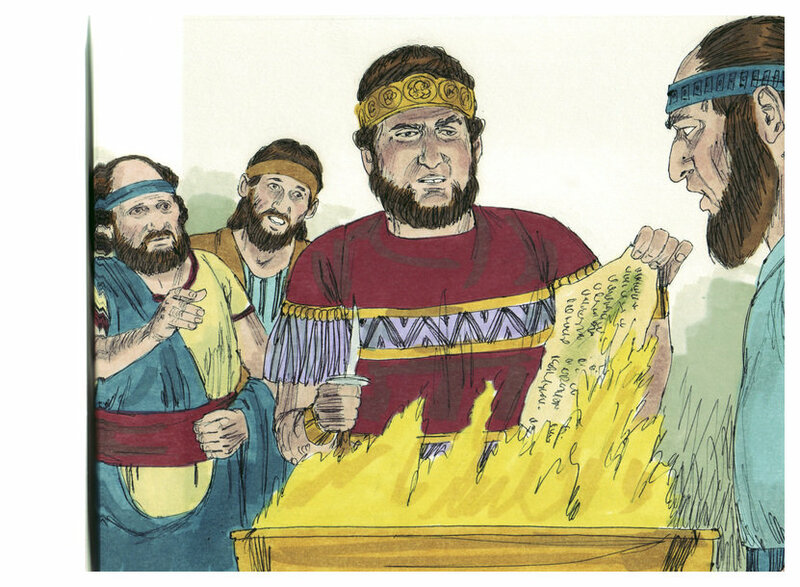 27 After the king had burned the scroll on which Baruch had written Jeremiah’s words, the Lord gave Jeremiah another message. He said, 28 “Get another scroll, and write everything again just as you did on the scroll King Jehoiakim burned. 29 Then say to the king, ‘This is what the Lord says: You burned the scroll because it said the king of Babylon would destroy this land and empty it of people and animals. This was the aspect of Jeremiah’s message that so upset Jehoiakim. He didn’t want to hear that Nebuchadnezzar was going to come again to Jerusalem and eventually destroy the city. Jeremiah rewrote the prophecies, adding an appropriate section concerning the fearful doom of the king! God has spoken to his people, alleluia, and his words are words of wisdom, alleluia. HERE is Desert Harmony, a children’s choir from the United Arab Emirates. 5 I set cups and jugs of wine before them and invited them to have a drink, 6 but they refused. 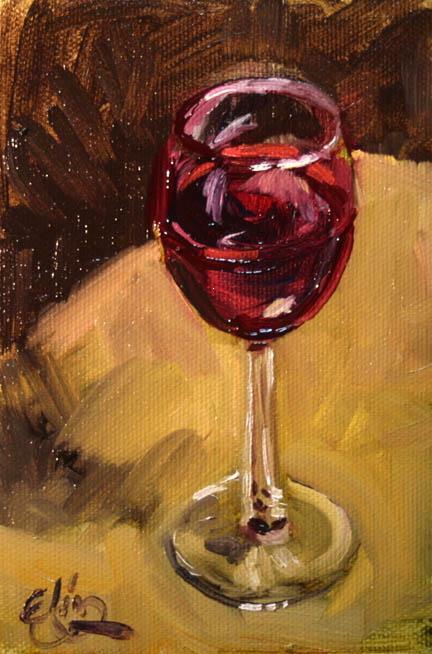 The point was not strictly the drinking or not drinking of wine; it was obedience to the teaching of their spiritual father Jonadab. Jeremiah didn’t use this to make a point about drinking wine, but about obedience. 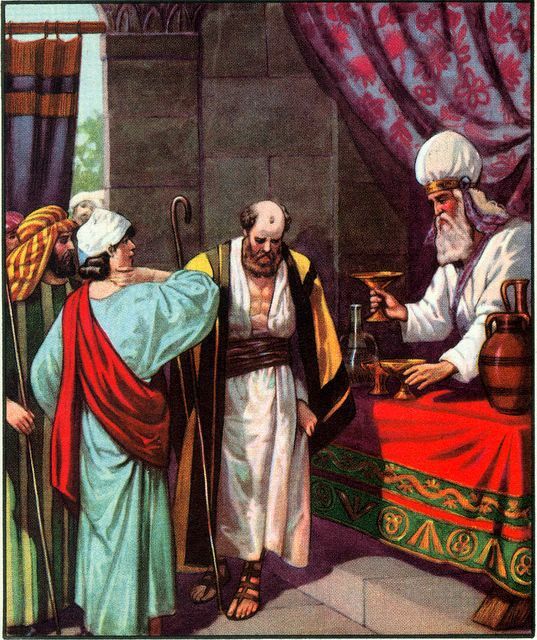 Nevertheless, God honored the Rechabites for their steadfast refusal to drink alcohol, and they were not mocked or criticized for this obedience. 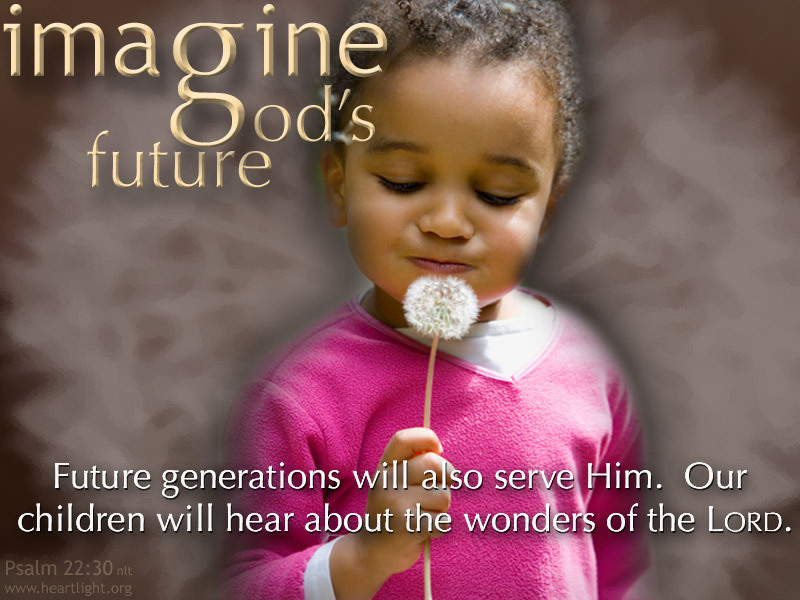 We do not know them, but God knows their names and remembers their faithfulness! Some scholars think the round number of “seventy years” represents the period from 605 to 538 B.C. These are the years between the time Judah became a Babylonian vassal state and the beginning of Judah’s return from exile as allowed by Cyrus of Persia. This message for all the people of Judah came to Jeremiah from the Lord during the fourth year of Jehoiakim’s reign over Judah. This was the year when King Nebuchadnezzar of Babylon began his reign. This was 605 b.c., an important year in world history and Biblical history. In world history the Egyptians were overwhelmed at Carchemish in modern Turkey, near the Syrian border. The Babylonian armies chased the fleeing Egyptians south. In Biblical history Nebuchadnezzar came to Jerusalem but had to leave quickly because his father died and it was the first year of his reign in Babylon. It’s possible that this prophecy came between the two events. 2 Jeremiah the prophet said to all the people in Judah and Jerusalem, 3 “For the past twenty-three years—from the thirteenth year of the reign of Josiah son of Amon, king of Judah, until now—the Lord has been giving me his messages. I have faithfully passed them on to you, but you have not listened. But you have not listened. 7 “But you would not listen to me,” says the Lord. “You made me furious by worshiping idols you made with your own hands, bringing on yourselves all the disasters you now suffer. 8 And now the Lord of Heaven’s Armies says: Because you have not listened to me, 9 I will gather together all the armies of the north under King Nebuchadnezzar of Babylon, whom I have appointed as my deputy. I will bring them all against this land and its people and against the surrounding nations. I will completely destroy you and make you an object of horror and contempt and a ruin forever. 10 I will take away your happy singing and laughter. 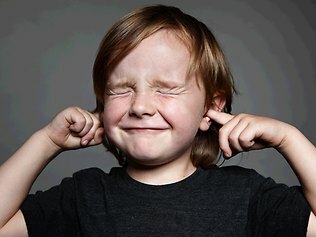 The joyful voices of bridegrooms and brides will no longer be heard. Your millstones will fall silent, and the lights in your homes will go out. 11 This entire land will become a desolate wasteland. Israel and her neighboring lands will serve the king of Babylon for seventy years. He carried into exile to Babylon the remnant, who escaped from the sword, and they became servants to him and his successors until the kingdom of Persia came to power. The land enjoyed its sabbath rests; all the time of its desolation it rested, until the seventy years were completed in fulfillment of the word of the Lord spoken by Jeremiah. Leviticus 25:3-5 teaches that the land was to lie fallow every seventh year. The people had disobeyed this law. God makes it up to the land, so to speak. 12 “Then, after the seventy years of captivity are over, I will punish the king of Babylon and his people for their sins,” says the Lord. Nebuchadnezzar and the Babylonians were God’s servant in carrying out His judgment against Judah, and they would be judged by their evil deeds and works of their own hands. They served God’s purpose, but it did not excuse or justify their destructive actions. 17 So I took the cup of anger from the Lord and made all the nations drink from it—every nation to which the Lord sent me. 18 I went to Jerusalem and the other towns of Judah, and their kings and officials drank from the cup. From that day until this, they have been a desolate ruin, an object of horror, contempt, and cursing. God’s judgment is first visited upon his chosen people, and then upon Judah’s enemies. 19 I gave the cup to Pharaoh, king of Egypt, his attendants, his officials, and all his people, 20 along with all the foreigners living in that land. I also gave it to all the kings of the land of Uz and the kings of the Philistine cities of Ashkelon, Gaza, Ekron, and what remains of Ashdod. 21 Then I gave the cup to the nations of Edom, Moab, and Ammon, 22 and the kings of Tyre and Sidon, and the kings of the regions across the sea. 23 I gave it to Dedan, Tema, and Buz, and to the people who live in distant places. 24 I gave it to the kings of Arabia, the kings of the nomadic tribes of the desert, 25 and to the kings of Zimri, Elam, and Media. 26 And I gave it to the kings of the northern countries, far and near, one after the other—all the kingdoms of the world. 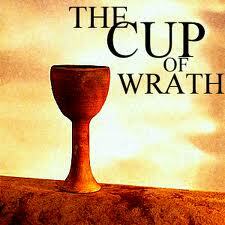 And finally, the king of Babylon himself drank from the cup of the Lord’s anger. 27 Then the Lord said to me, “Now tell them, ‘This is what the Lord of Heaven’s Armies, the God of Israel, says: Drink from this cup of my anger. Get drunk and vomit; fall to rise no more, for I am sending terrible wars against you.’ 28 And if they refuse to accept the cup, tell them, ‘The Lord of Heaven’s Armies says: You have no choice but to drink from it. 29 I have begun to punish Jerusalem, the city that bears my name. Now should I let you go unpunished? While judgment would begin among God’s people (see verse 18 above), it would in no way finish there. The judgment of God’s people was a certain prophecy of coming judgment upon the nations. from his holy dwelling in heaven. he will shout against everyone on earth. 33 In that day those the Lord has slaughtered will fill the earth from one end to the other. No one will mourn for them or gather up their bodies to bury them. They will be scattered on the ground like manure. The destruction is almost beyond comprehension. But this is a prophecy, spoken in advance, and as such it gives nations time to repent. 34 Weep and moan, you evil shepherds! you will fall and shatter like a fragile vase. there will be no way to escape. 36 Listen to the frantic cries of the shepherds. for the Lord is ruining their pastures. by the Lord’s fierce anger. The Lord is pictured as a lion. Four years ago on a family vacation I read The Lion, the Witch, and the Wardrobe to two of our granddaughters, then ages 4 and 7. 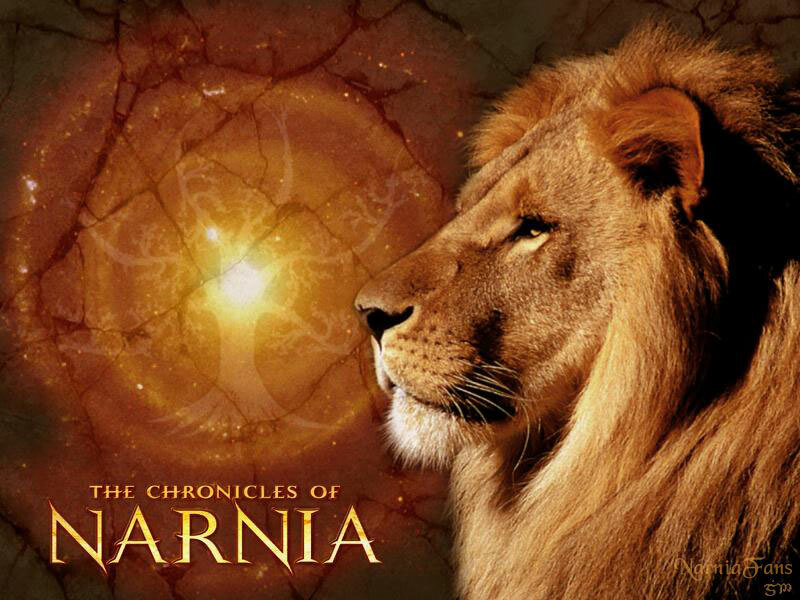 They learned to love Aslan! and the Lord’s fierce anger. We don’t think about it enough, but it is wonderfully true that “You have dealt well with Your servant, O LORD.” Think of all the ways God has dealt well with us. He loves us, He called us, He drew us to Himself. He rescued us, He declared us righteous, He forgave us, He put His Spirit with us, He adopted us into His family. 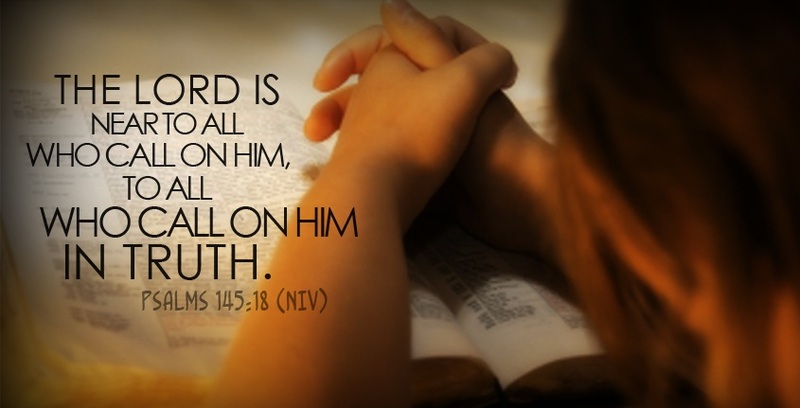 He makes us kings and priests and co-workers with Him, and He rewards all our work for Him. 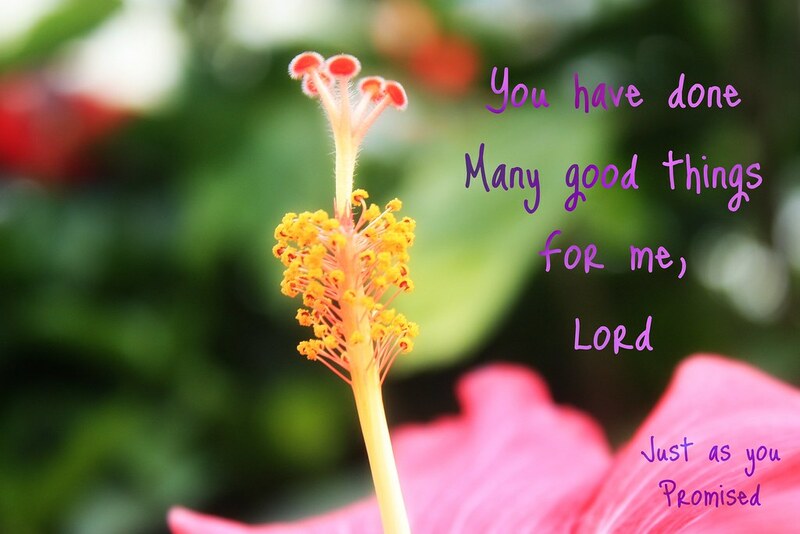 Another translation of this verse goes, “You are good and you do good.” This is praise for who God is, and for what God does. Even afflictions work out to show God’s kindness. With that in mind, where is room for complaining? The largest Bible in the world is in the Vatican. It is a manuscript Bible and written in Hebrew. The book weighs 320 pounds and there is a history connected with it. Some Italian Jews obtained a view of the precious volume, and told their co-religionists of Venice of it. The consequence was that a syndicate of Venetian Jews endeavored to purchase it, offering the Pope the weight of the book in gold as the price. Pope Julius II, however, refused the offer, even though the value of such a large amount of gold was enormous. 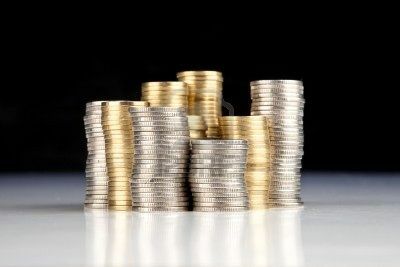 The saving truth which the Bible contains, accessible to the poorest, is more valuable than all material wealth combined. “Beneath the Cross of Jesus” is a hymn that has long spoken to me. And particularly the line shown above: “My sinful self my only shame, my glory all the cross.” So many things I have done which I am ashamed of or embarrassed by, so many foolish or unkind things — yet at the cross, all is forgiven. HERE is the hymn sung by The Hastings College Choir from Hastings, Nebraska. A magnificent hymn reminding us of all that God has provided for us! We sing praises to Him for his greatness, his goodness, his grace, and his glory! 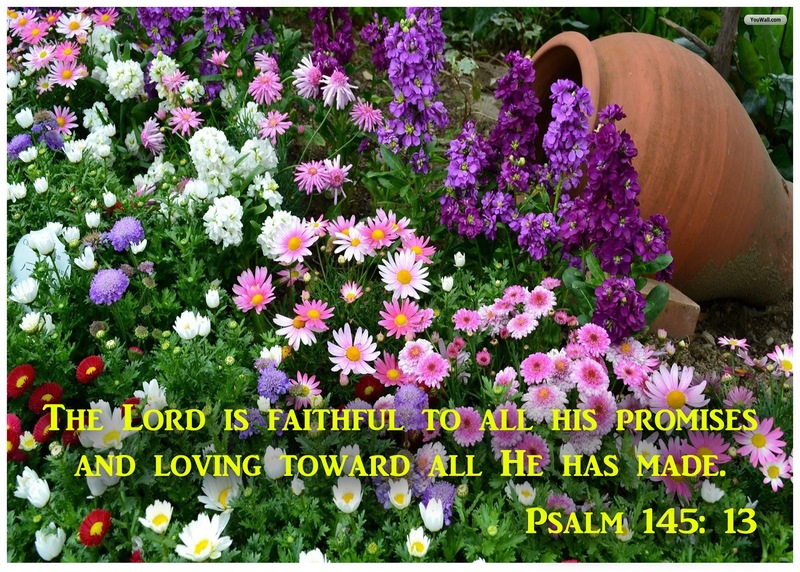 Psalm 145 is an acrostic psalm that uses each of the letters of the Hebrew alphabet in order, almost like an ABC book. Today we alphabetize lots of things, but not usually our poetry. The Hebrews didn’t have books readily available, so much of their theology was memorized. Psalm 145 may have been written the way it was to make it easier to remember, since each verse starts with the next letter in the Hebrew alphabet. 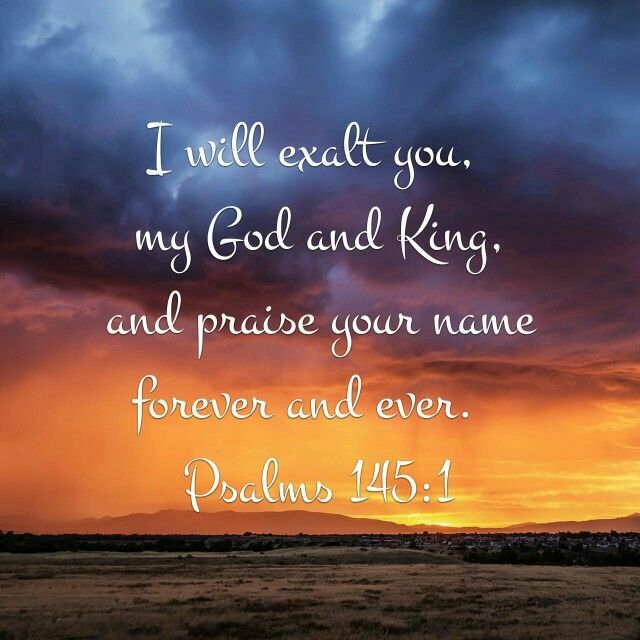 Psalm 145 is the last psalm attributed to David in the collection of Psalms. 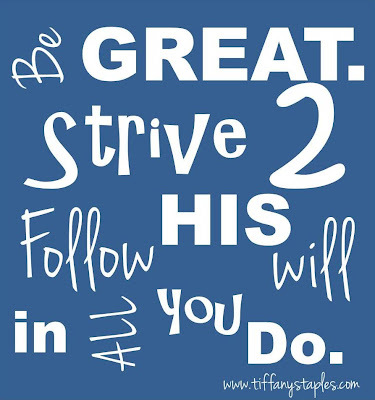 (1-3) Learning from David’s example of a heart fully given to praise. I lift you high in praise, my God, O my King! (4-7) Passing the praise of God from one generation to another. (8-9) The memory and present experience of God’s goodness. 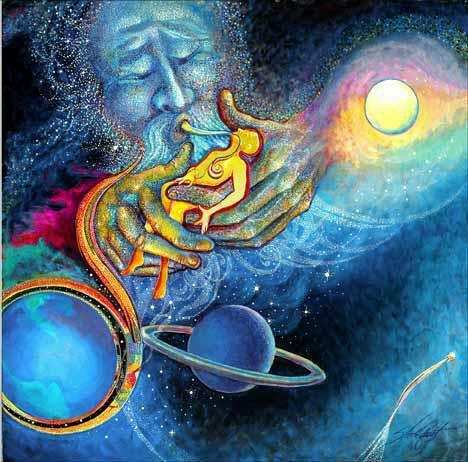 (10-13) All creation declares God’s praise. (14-16) The kindness of God to those in need. 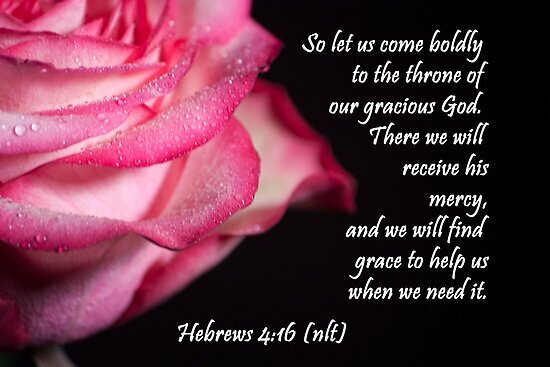 My family has often used the verses above as a grace at table. 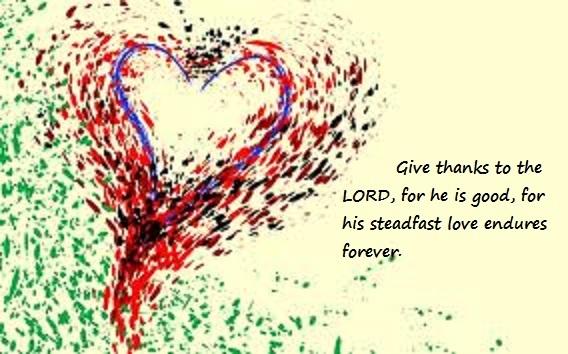 (17-21) The love and righteousness of the Lord. but it’s all over for those who don’t. 21 My mouth is filled with God’s praise. Happy Thanksgiving, dear readers! And to my readers outside of the USA, may I say how thankful I am for your support of DWELLING! HERE is “For the Beauty of the Earth,” sung by BarlowGirl (3 sisters from Elgin, IL). HERE is another version of the hymn, but a different tune, sung by Libera (English boys choir). The Hanging Gardens of Babylon, one of the Seven Wonders of the Ancient World, were built by King Nebuchadnezzar in about 600 BC to please his foreign wife, who longed for the plants of her homeland. 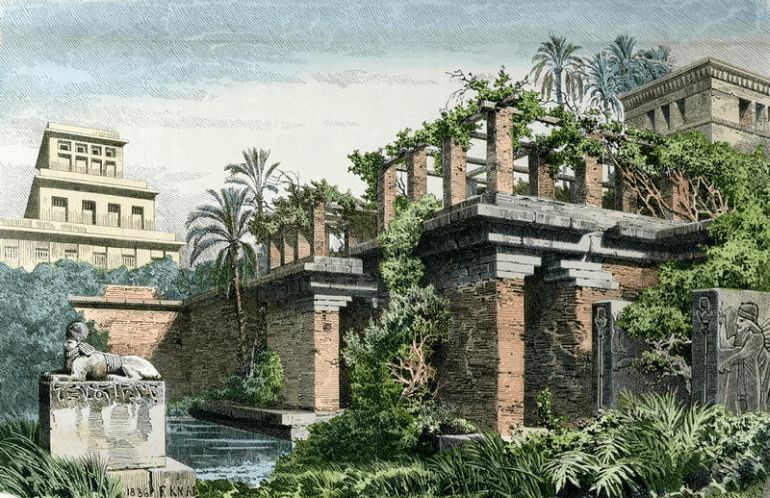 The gardens were destroyed by earthquakes after the 2nd century BC. 1 During Jehoiakim’s reign, Nebuchadnezzar king of Babylon invaded the land, and Jehoiakim became his vassal for three years. Nebuchadnezzar, king of the Babylonian Empire, was concerned with Judah because of its strategic position in relation to the empires of Egypt and Assyria. Therefore it was important to him to conquer Judah and make it a subject kingdom, “his vassal,” securely loyal to Babylon. Nebuchadnezzar came against Jerusalem because the Pharaoh of Egypt invaded Babylon. In response the young prince Nebuchadnezzar defeated the Egyptians at Charchemish, and then he pursued their fleeing army all the way down to the Sinai. Along the way (or on the way back), he subdued Jerusalem, who had been loyal to the Pharaoh of Egypt. This happened in 605 B.C. and it was the first (but not the last) encounter between Nebuchadnezzar and Jehoiakim. There would be two later invasions (597 and 587 B.C.). This specific attack is documented by the Babylonian Chronicles (a piece of it pictured above), a collection of tablets discovered as early as 1887, held in the British Museum. In them, Nebuchadnezzar’s 605 B.C. presence in Judah is documented and clarified. 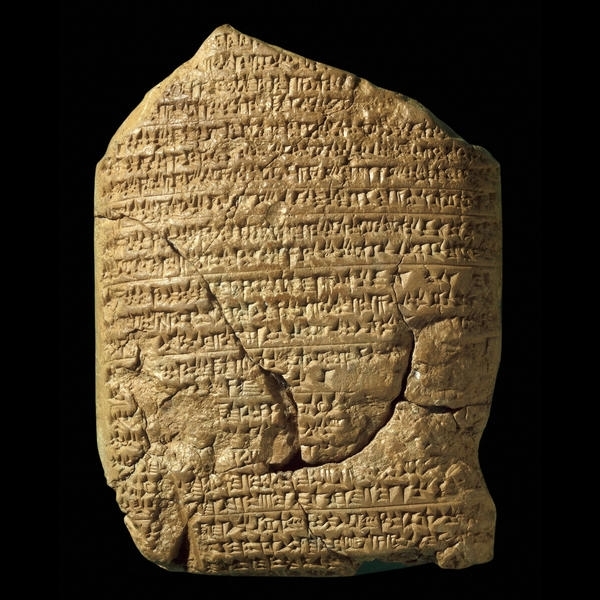 When the Babylonian chronicles were finally published in 1956, they gave us first-rate, detailed political and military information about the first 10 years of Nebuchadnezzar’s reign. L.W. King had prepared these tablets in 1919; he then died, and they were neglected for four decades. Excavations also document the victory of Nebuchadnezzar over the Egyptians at Carchemish in May or June of 605 B.C. Archaeologists found evidences of battle, vast quantities of arrowheads, layers of ash, and a shield of a Greek mercenary fighting for the Egyptians. This campaign of Nebuchadnezzar was interrupted suddenly when he heard of his father’s death and raced back to Babylon to secure his succession to the throne. He traveled about 500 miles in two weeks – remarkable speed for travel in that day. Nebuchadnezzar only had the time to take a few choice captives (such as Daniel), a few treasures and a promise of submission from Jehoiakim. But then he turned against Nebuchadnezzar and rebelled. 2 The LORD sent Babylonian, Aramean, Moabite and Ammonite raiders against him to destroy Judah, in accordance with the word of the LORD proclaimed by his servants the prophets. 3 Surely these things happened to Judah according to the LORD’s command, in order to remove them from his presence because of the sins of Manasseh and all he had done, 4 including the shedding of innocent blood. For he had filled Jerusalem with innocent blood, and the LORD was not willing to forgive. The shedding of innocent blood. HERE is the old hymn, “Jesus, your blood and righteousness,” written by Count Nicolaus von Zinzendorf in the 1700’s, with a new tune by the vocalist, Lori Sealy. with joy I lift up my head! for who a charge to me shall lay? from sin, fear and guilt and shame. redeemed by the LORD Jesus Christ. Your blood my ransom paid! redeemed by the LORD Jesus Christ! He lived and died for me! Egypt had been soundly defeated by Nebuchadnezzar. Now Babylonia is the “super power” of the Fertile Crescent. The teenage king. Nothing in his three-month reign would give Jerusalem confidence. And certainly they — the poorest of the land — would not cause Nebachadnezzar any problems. 15 Nebuchadnezzar took Jehoiachin captive to Babylon. He also took from Jerusalem to Babylon the king’s mother, his wives, his officials and the prominent people of the land. 16 The king of Babylon also deported to Babylon the entire force of seven thousand fighting men, strong and fit for war, and a thousand skilled workers and artisans. 17 He made Mattaniah, Jehoiachin’s uncle, king in his place and changed his name to Zedekiah. Remarkably, Jehoiachin spent 37 years in prison, a humiliated and forgotten man. He had lots of time to consider his life, and perhaps brought to mind stories he had heard about his grandfather, Josiah, and memories of the dishonorable death of his father. 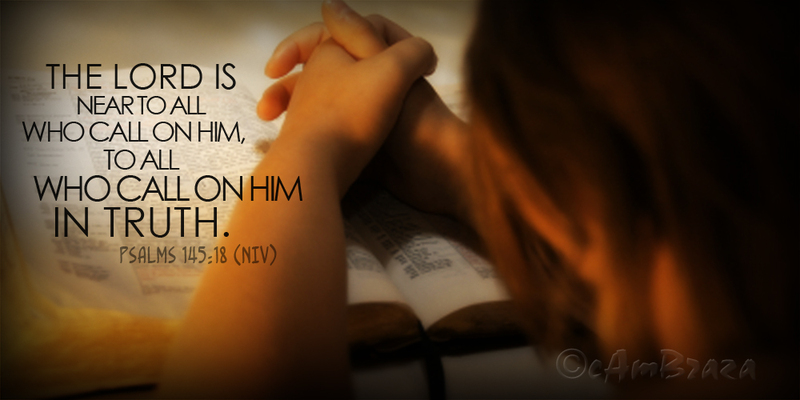 Perhaps he even prayed, and humbly sought mercy from the Lord. Puppet king of Nebuchadnezzar. Last king of Judah. Many Jews of the time believed that God would never allow the city of Jerusalem to fall. They did not realize that God was more concerned with their hearts (in terms of justice, truth, worship, forgiveness, kindness, etc.) than he was with their nation as such. Their sins had to be dealt with before their flag could fly with honor. You are currently browsing the DWELLING in the Word blog archives for November, 2017.